On Sunday, April 7, we will be hosting the CDCTA's Test Riding Clinic. Riders can practice their 2019 USEF Dressage tests. Click here for details and entry information. 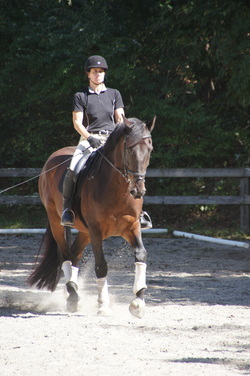 Join us this summer for our Fox Ledge Farm Dressage Schooling Shows. This year, they will be held on Wednesday, June 19th & Wednesday, July 20th. Click here for the Prize List & Entry Form.